Adoption events are held on Sundays from 12pm to 4pm. Exceptions are if a major holiday falls on a Sunday, during our annual Easter Moratorium, or on a 5th Sunday. Adoption events are subject to last-minute changes, please visit our Events page to verify exact dates and locations. Information packets and toenail clipping available. No advance reservations are needed for these services. Donations are always welcomed. Please be sure to call the Brambley Hedge Rabbit Rescue Hopline at 480.443.3990 or email brambleyhedgerr@gmail.com at least 48 hours prior to the adoption event to confirm you will be attending. For more information please read our Adoption Policies. The adoption fee is $70 for a single rabbit or $130 for a pair. 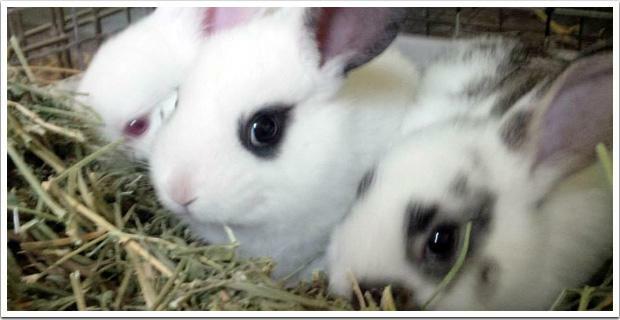 During June, July and August the adoption fee for a bonded pair of rabbits is $70.